Blush pink, baby pink, dusty shell pink, millennial pink – call it what you want, it’s been popping up everywhere we look for months. We’ve got the shoes and the bags but now it’s getting serious – it’s now heading to the kitchen, with a big pat on the back to Le Creuset, cooking types are rubbing their oven mitts together in glee. Le Creuset, home of investment kitchenwares. Not even kidding, this kitchen gear is of a quality you hand down to your children (by ‘hand down’ I mean carefully lift – because sheesh, enamelled cast iron is heavy). It really is that good and braises meals beautifully. 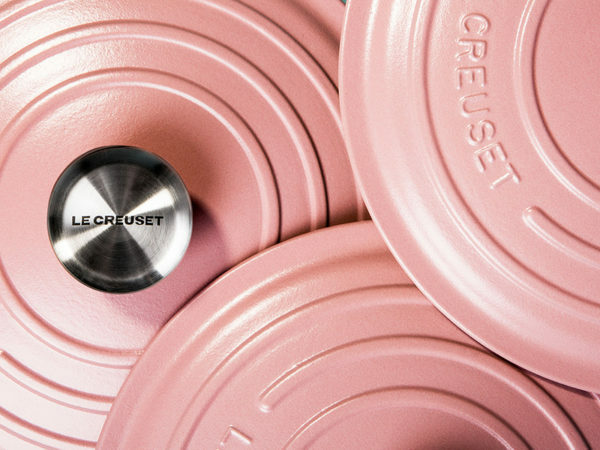 If anything was going to look stunningly spectacular against a glossy white subway kitchen tile, it’s hands-down going to be Le Creuset’s Matte Sugar Pink collection. As sweet as fairy floss itself, this pink shade is pretty without being Barbie pink bold – it’s elegant, restrained and making me feel very wanty-needy for many of the 23 pieces in this new collection. 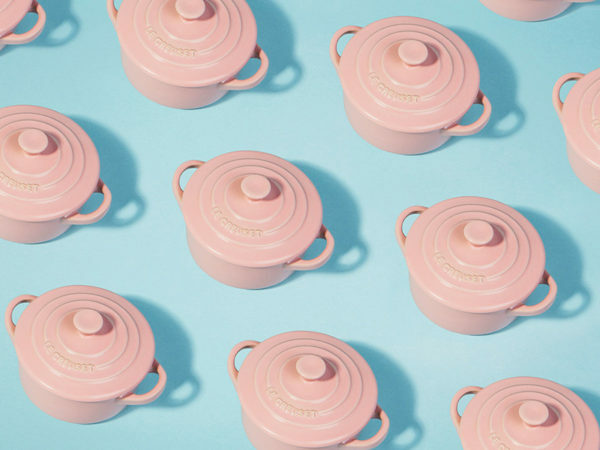 A collection boasting all the usual suspects including a pie dish and French press, the always popular Dutch Oven is priced US$300 with some more budget friendly options of spoon rests, canisters and mugs priced from US$16, all in the Matte Sugar Pink. 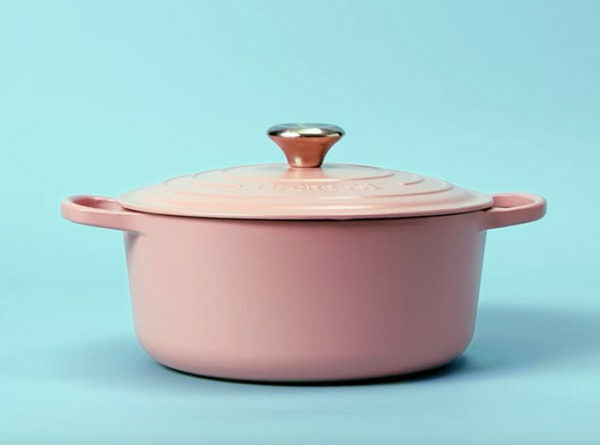 Currently the Matte Sugar Pink collection is only available in US Le Creuset stores and online, but we’re crossing our pink-loving fingers it’ll be available in Australia before too long – we’ll be sure to let you all know when the wait is over!